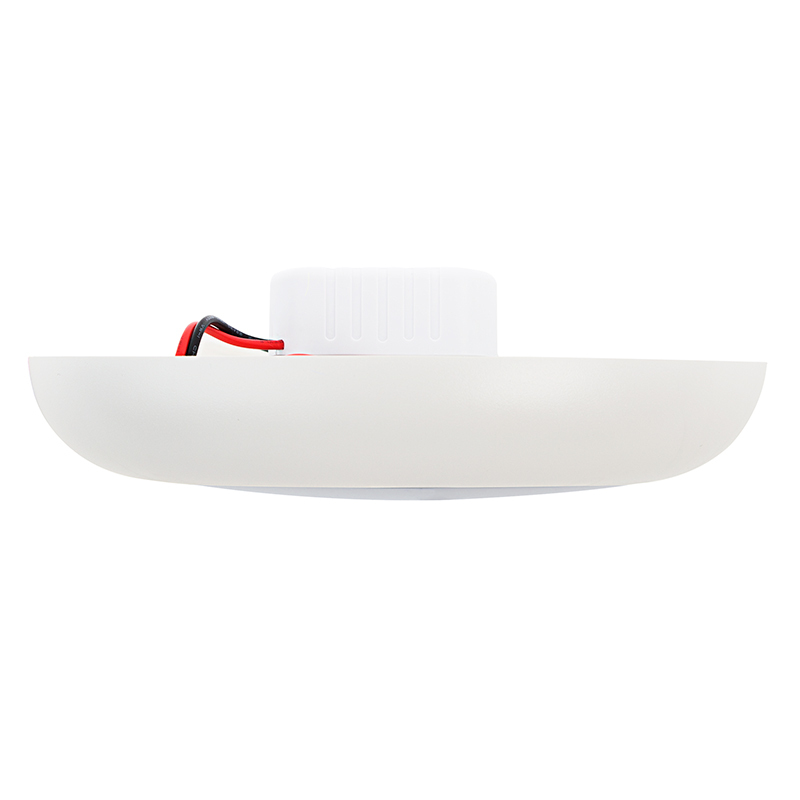 This 7” flush-mount ceiling light is designed for basement lighting, garage lighting, hallway lighting, closet lighting, bathroom lighting, workshop lighting, shed lighting, or any location with a junction box or 4"-6" can light. 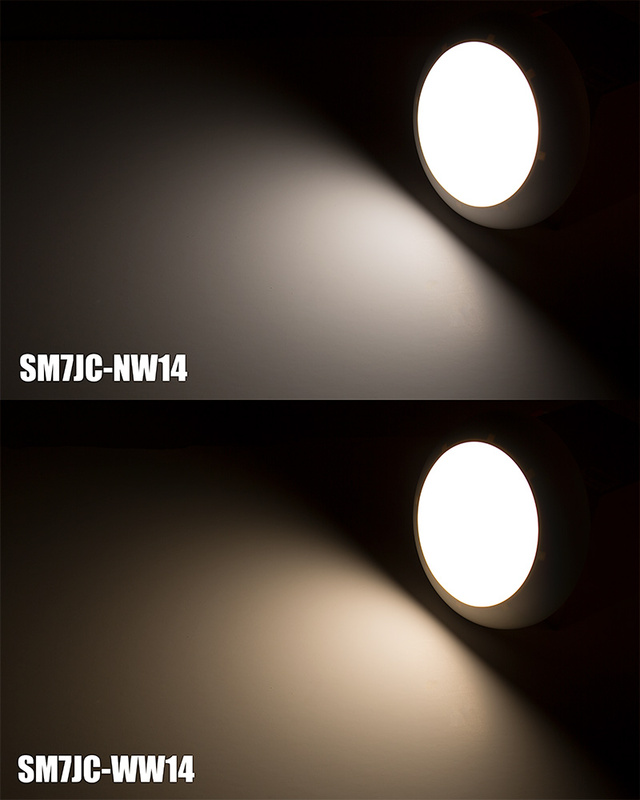 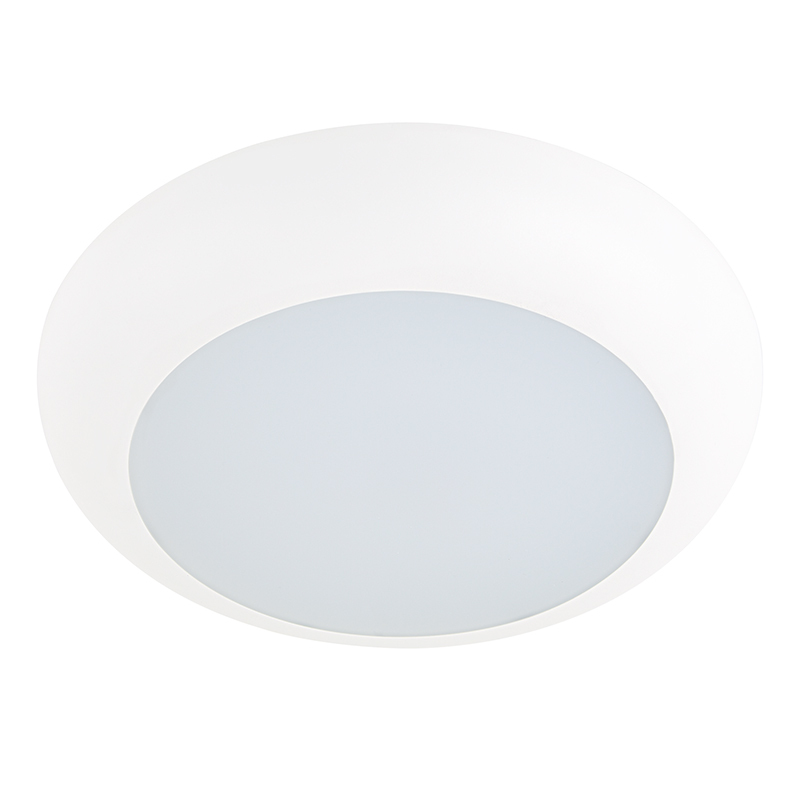 The LED disk light emits 1,100 lumens of natural white or warm white illumination through a frosted diffusing dome lens. 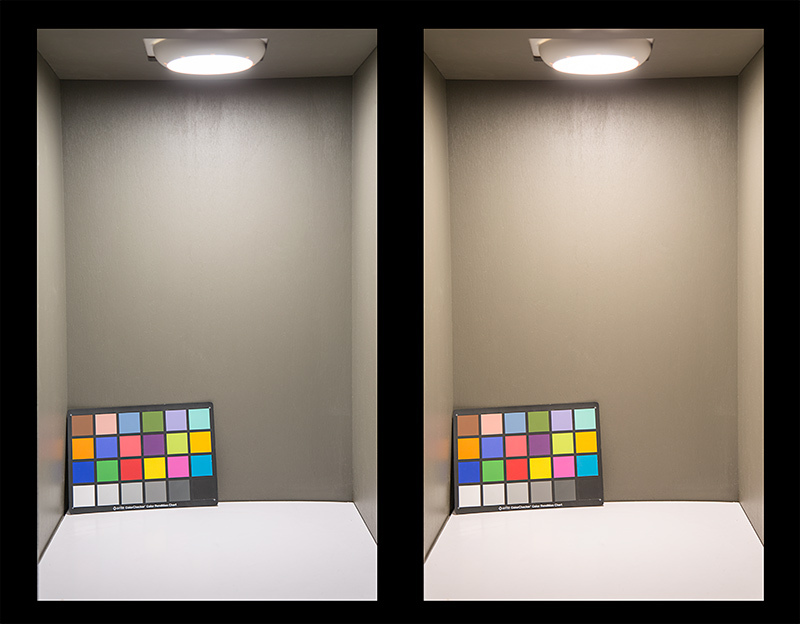 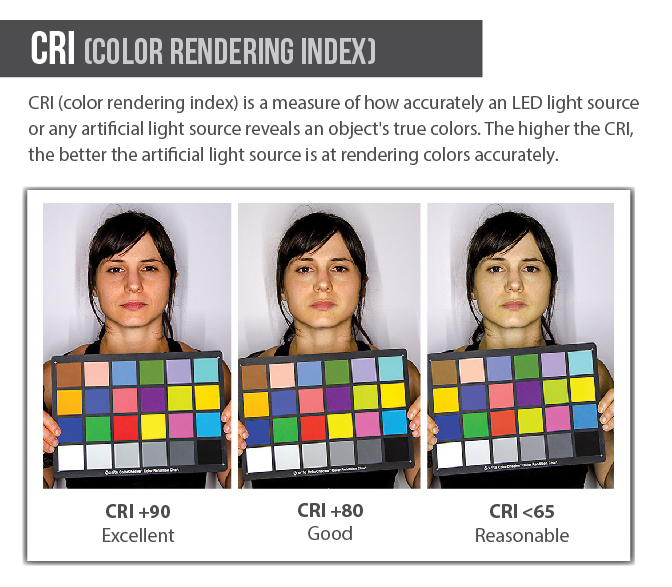 And with a CRI of 92, it shows the true colors of objects and surroundings. 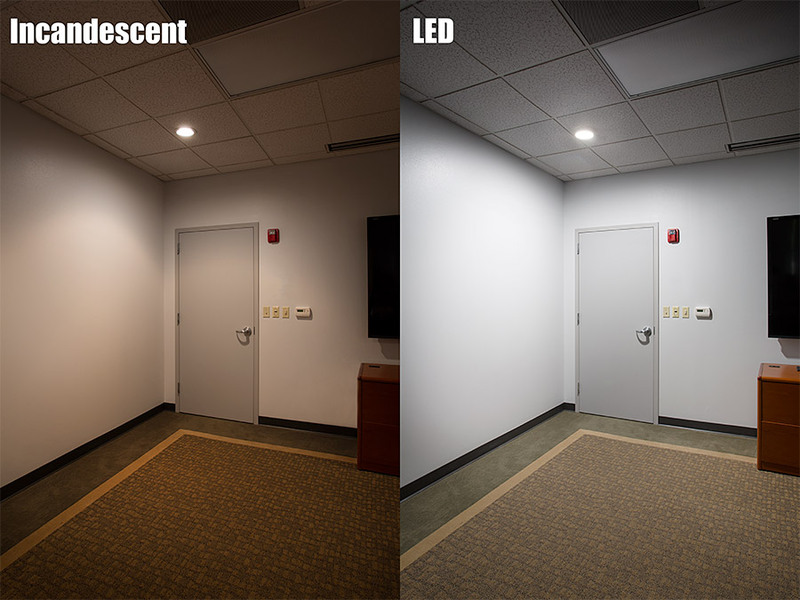 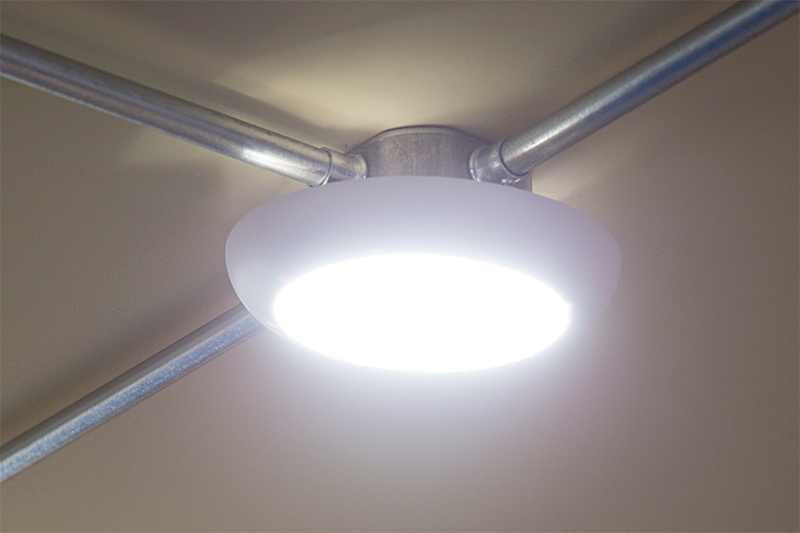 This energy-efficient LED light consumes 14 watts of power; an incandescent bulb with comparable light output would consume 75 watts. 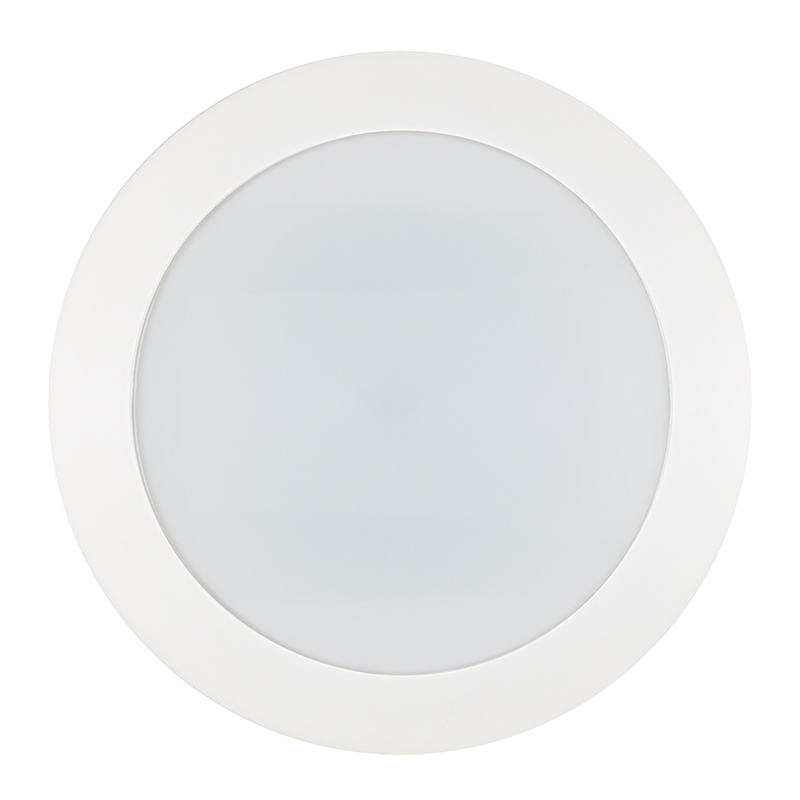 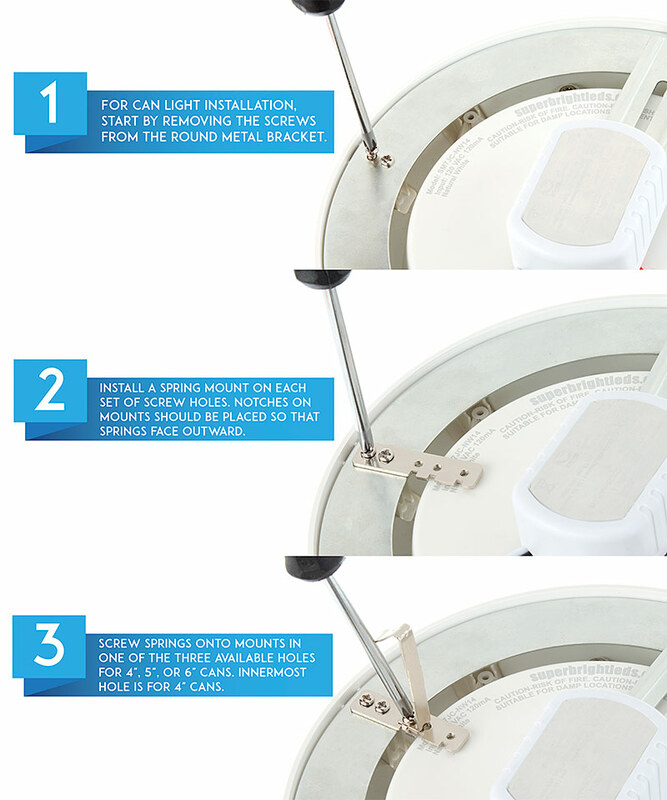 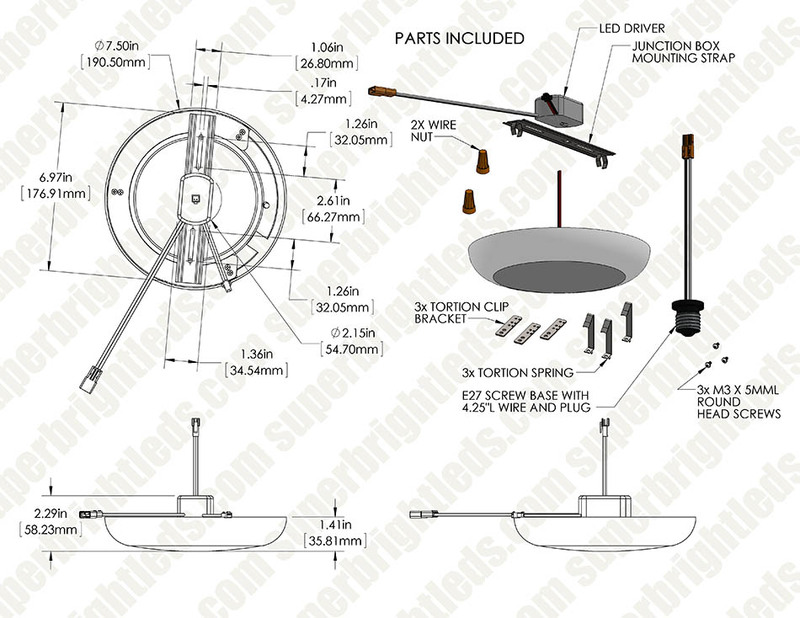 The ceiling light fixture operates within a 110-130 VAC range and is IC rated for safe contact with insulation. 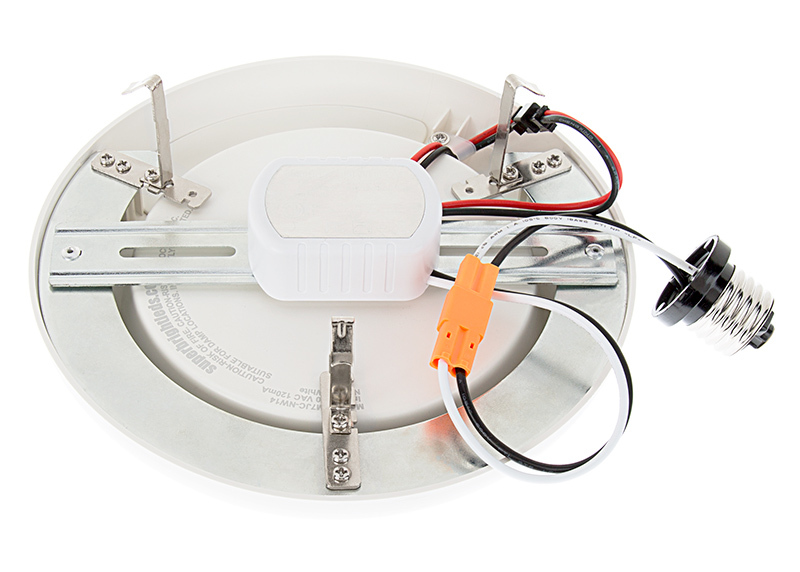 Mount in any existing 4"-6" can light housing with included retaining clips and hardware, or mount to a round or octagonal junction box with the included bracket. 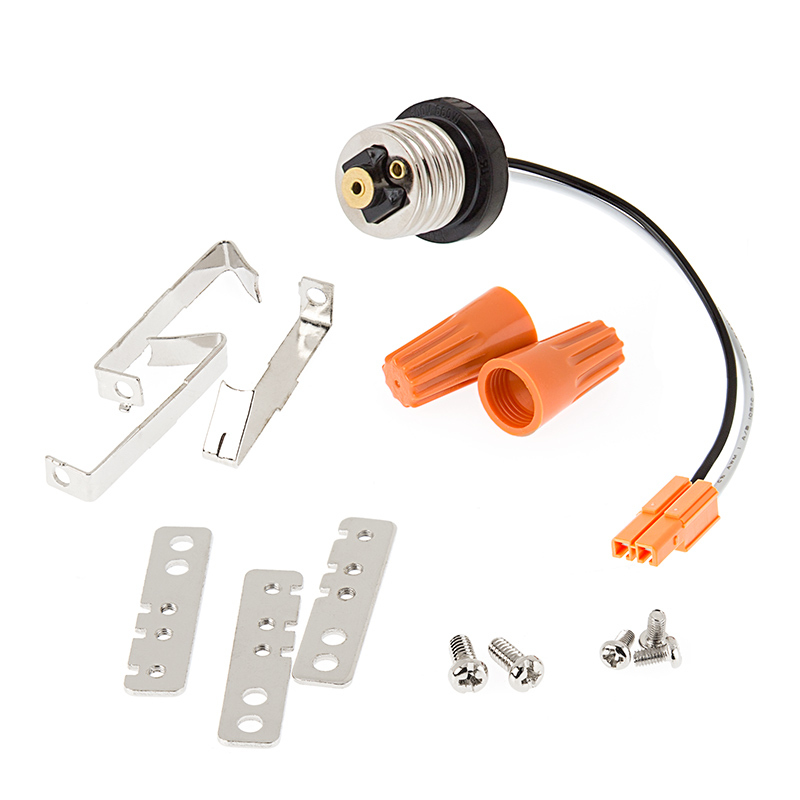 Includes a removable E26/E27 Edison screw base adapter and a dimmable constant-current driver. 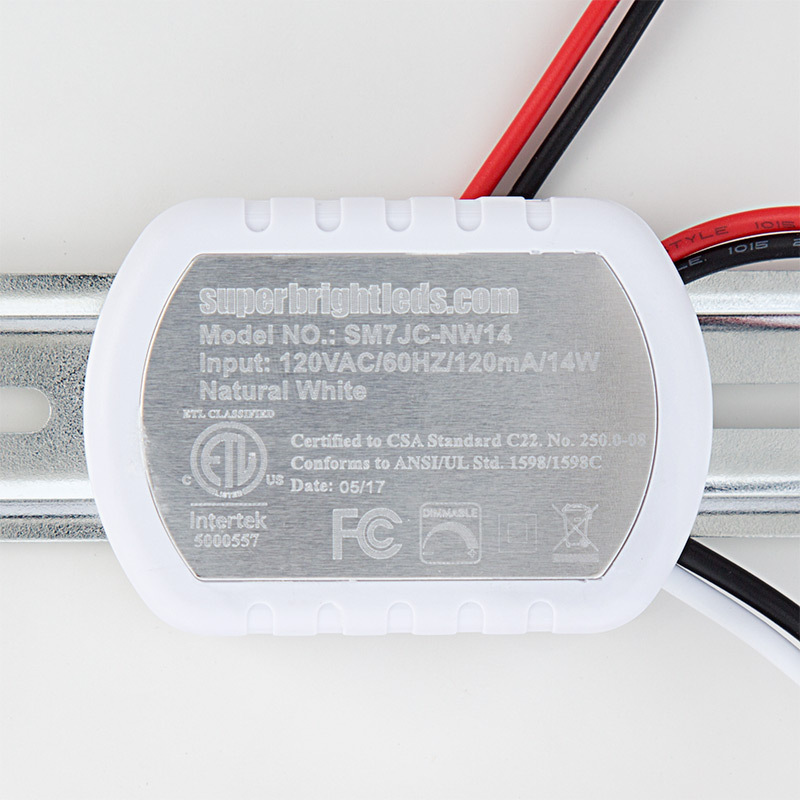 For installation in a junction box, cut the E26/E27 screw base off of white and black wires. 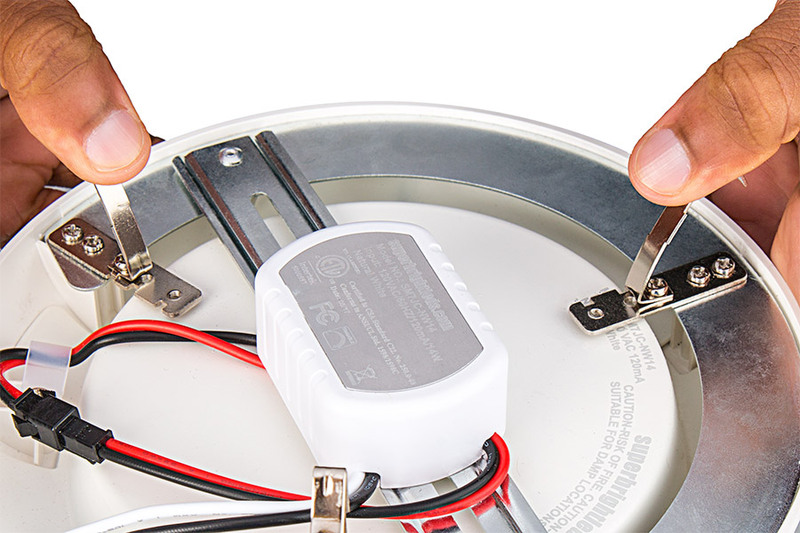 This will not void the warranty. 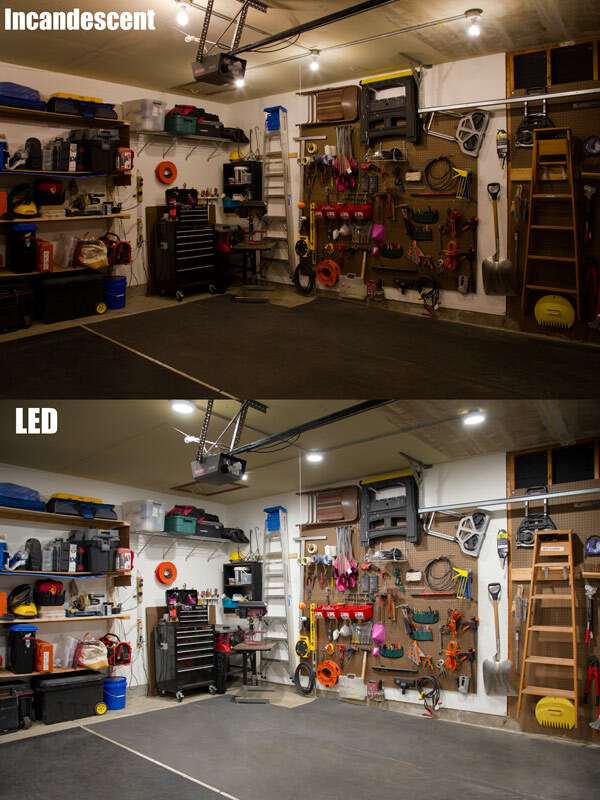 I installed these lights to replace old, out of date, incandescent lamp fixtures in my laundry room, over the kitchen sink and in the basement. 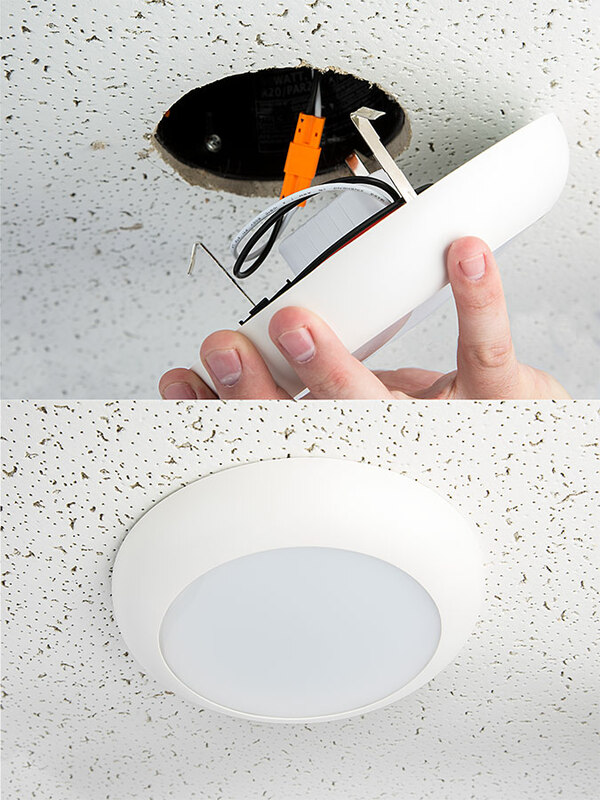 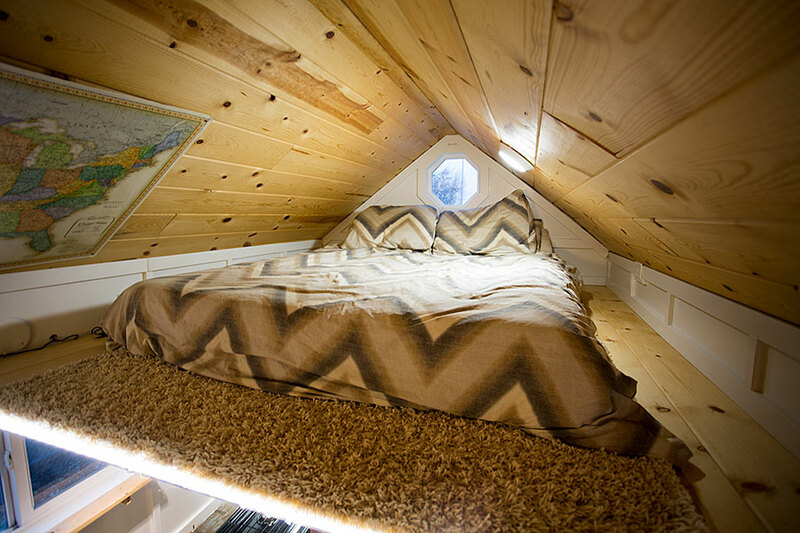 Very easy to install and give out plenty of light. 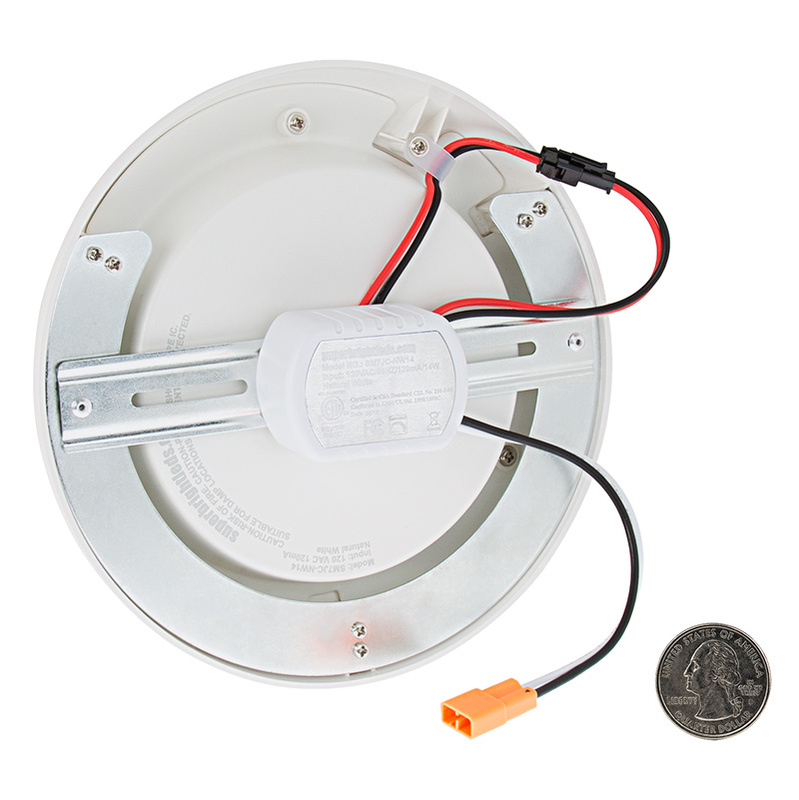 The only small negative I would give is the steel mount bracket supplied to mount this light into an electrical box is very thin and bends easily with tightening the mounting screws.